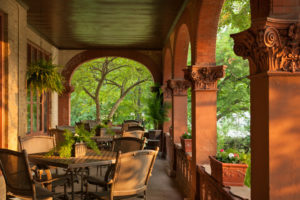 As you embark on the Looking for Lincoln Story Trail, featuring Abraham Lincoln historical sites in Illinois, choose lodging with members of the Illinois Bed & Breakfast Association. Our inns will offer a comfortable place to unwind after a busy day of sightseeing. Take a journey in the Abraham Lincoln National Heritage Area, visiting real places that were part of President Abraham Lincoln’s life and career. Your travel adventure will bring you to approximately 20 central Illinois cities which hold historic significance to Lincoln. Plan your trip to include local events commemorating noteworthy events in American history. Bringing the kids along? Make preparations for an enriching experience easy by planning a History Hunt! Enjoy your investigation on the Looking for Lincoln Story Trail!